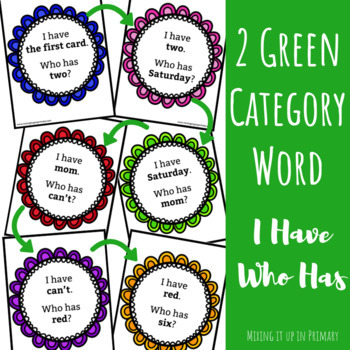 Use this activity as a way for students to practice reading category words. Make learning fun by teaching students how to play I Have Who Has. 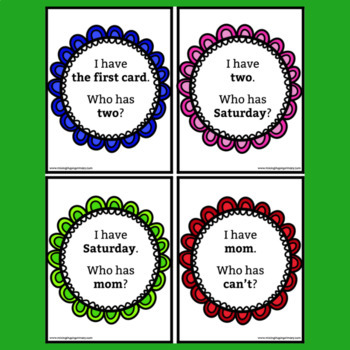 Play this game as a whole group, small group or individually. Product comes in color and black and white.